Hours vary, make sure to check individual branch pages for details. 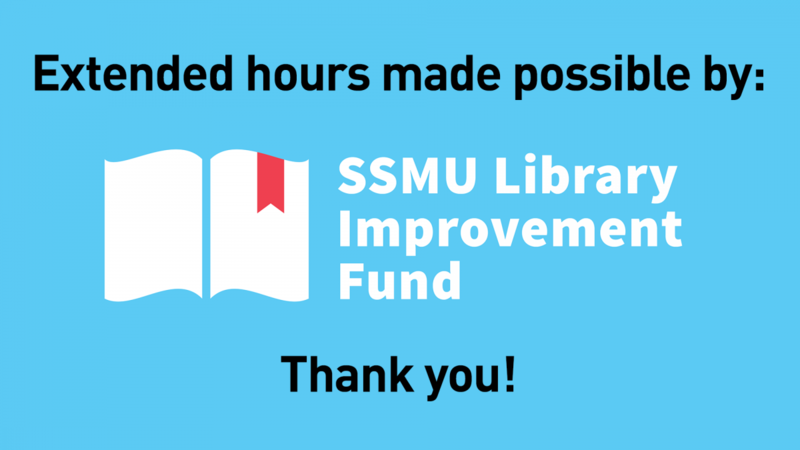 Extended hours are just one of the many ways that the SSMU Library Improvement Fund supports the Library. Learn more about their initiatives by clicking here.